( Jagran News - Hindi) Allahabad: entertainment set-top box (STB) and direct-to-home (DTH) to circumvent bloody disturbances over. Now the idiot box Prasar Bharati is now showing his temper. Prasar Bharati's DD Direct Plus dozens of free private channels can be enjoyed. Regional news channels including music from the song. Almost every house in the ongoing debate about the set-top box. Conditions and terms of your monthly rent cable operators are obliged to state law. 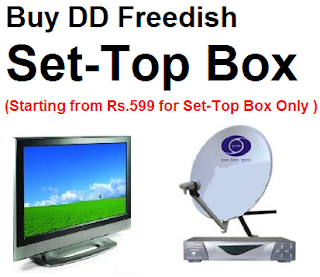 DTH operators have also started to appreciate. Amidst all Prasar Bharati exercise is to establish itself again. 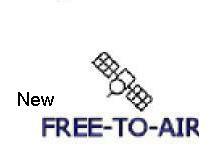 DTH in his various regional languages ​​as well as free-to-air private television channels have also been included. According to an official of Prasar Bharati, ETV, MGM, UTV many free to air channels as well as the star can be seen through it easily. Prasar Bharati field personnel Set Top Box with Prasar Bharati resembled mutiny among its DTH service house to house delivering spearheaded the exercise. Prasar Bharati sources to communicate with their distributors and other personnel are allowed at DD Direct Plus.